Zombie Gunship Survival new game has arrived on play store which is a sequel of "Zombie Gunship" developed and created by most popular gaming Giants "FlareGames", It is available for both IOS and Android devices. Obviously you can easily judge with a title that its a zombie action game in which you are going to shoot zombies with aerial view and eliminate an endless horde of zombies. If you enjoyed the prequel "Zombie Gunship" from couple of years ago or you love to shoot zombies with loads of weapons then "Zombie Gunship Survival" is the game you must checkout. I am personally enjoying zombie gunship survival game right now as i have played many zombie games in the past which i always found them quite enjoyable. The game features loads of action, base building, defense tower and some RPG touch in it. It looks zombies are never ever dying trend and they got huge popularity when "The Walking Dead" series started. As i told you i personally enjoyed lots of zombie game but this zombie gunship survival game is something different and awe-inspiring. 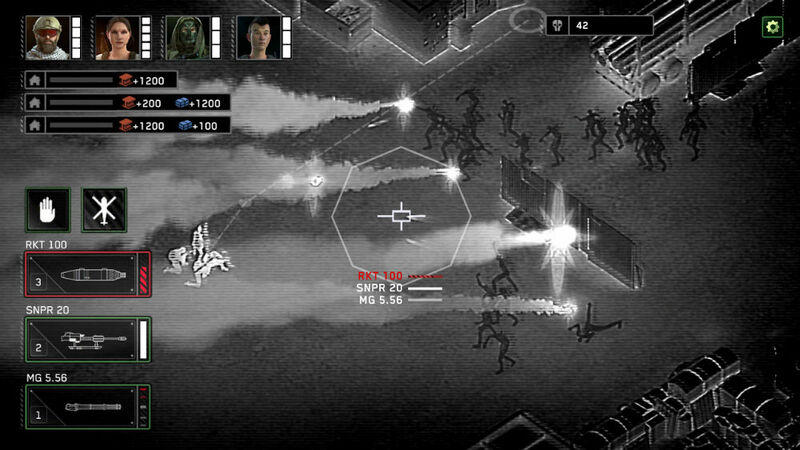 In the game you are not supposed only to do task of base operations but you also need to defend it from attacking by zombies. Your base provides you different variety of storage materials, weapons and place to upgrade your troops and gunship weapons. Defend the people & Troops from skies and attack the incoming zombies with aerial support. The best part of the game is AC-130 shooting which you will enjoy the most. Its an interesting looks look which helps to isolate zombies from the friendlies. If you like zombie games and you love playing gunships then I recommend giving Zombie Gunship Survival a try if you are looking for zombie shooter Game. Its really interesting game with loads of gripping elements that will keep you coming back for more. Zombie Gunship Survival is free to download and playable on your mobile and tablet devices. However there are some items which can be purchased for real money but if you don't want to spend you can go for Zombie Gunship Survival hack to unlock these items for free or you can also disable in-app purchases. So download it today from Google play store and enjoy the zombie shooter game on your mobile device. For those who like zombies stuff, this should be interesting! justjared and 5 others upvoted this.